Located between Mt. Gerizim (left) and Mt. 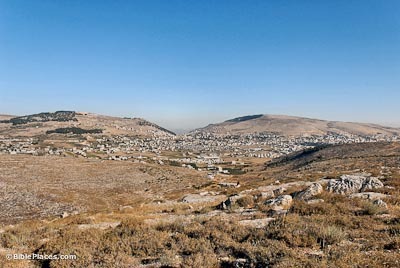 Ebal (right) Shechem is preeminent in the biblical record, beginning with God’s promise of the land to Abraham. Later Jacob would return here with his family and settle shortly. 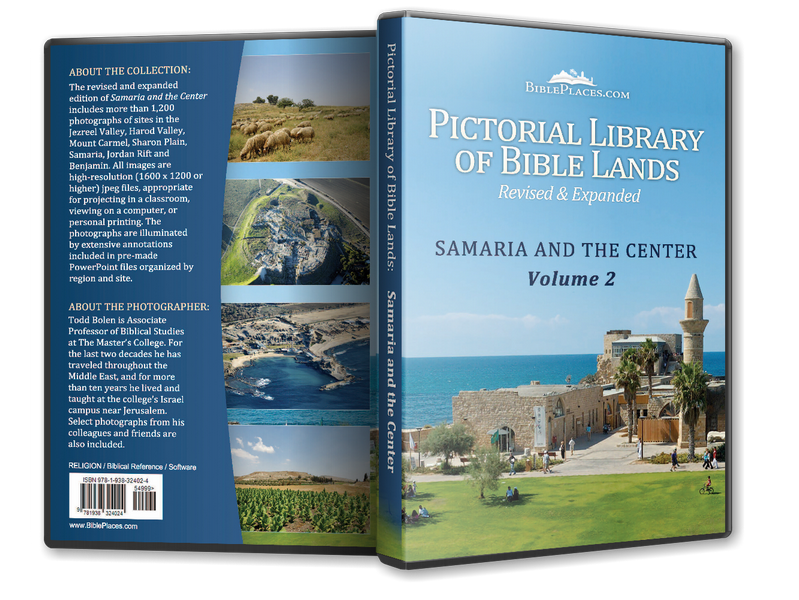 During the Conquest, the twelve tribes gathered on these two hills to recite God’s Law and the blessings and curses that accompanied obedience and disobedience. Vulnerable by location, Shechem was strongly fortified from its earliest history. This wall was built of Cyclopean stones and continued in use through the Late Bronze Age without significant changes. 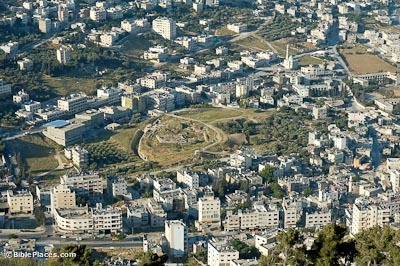 In the background, Mount Gerizim was the location of the Samaritan temple in the 4th-2nd centuries BC. Part of the city’s fortifications throughout the second millennium, this gate is typical for the Middle Bronze period with three piers and two chambers. Only the stone foundations remain. 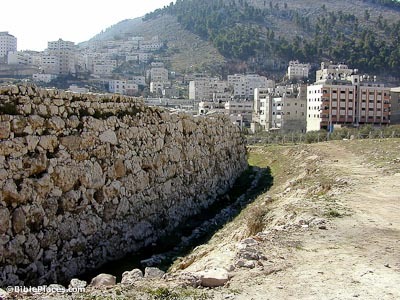 This gate most likely was in use in the time of Jacob and certainly was the main gate of the city in the days of Abimelech (Judges 9). 1. Abraham promised the land. 2. Jacob buys a plot of land; Dinah is raped. 3. Jacob’s sons are tending the sheep here before Joseph finds them in Dothan. 4. The covenant is confirmed during the Conquest. 5. The city is set aside as a levitical city and a city of refuge. 6. Joseph is buried here. 7. The ten tribes reject Rehoboam. This fortified temple dates to the MB and LB periods and has walls 17 feet thick. 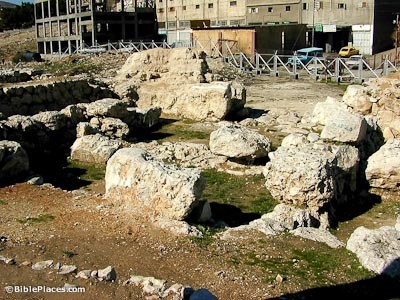 The excavators identified this building with the Temple of Baal Berith mentioned in Judges 9. 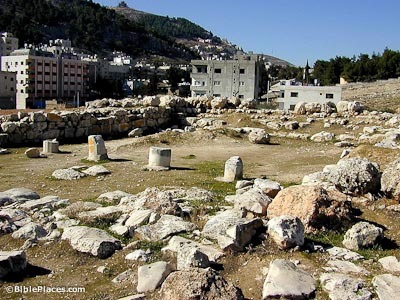 From this building funds were taken to finance Abimelech’s kingship and here the citizens of the city took refuge against Abimelech’s attack.